Our WP eCommerce ShippingCalc Plugin instantly provides access to our Shipping Rates API with no programming costs and allows you to integrate accurate comparative rates from multiple carriers (DHL, FedEx, USPS, UPS) into your store. Many advanced features are included such as drop-shipping from multiple origins, USPS flat rate box calculations, insurance, flexible handling, packaging material weight, and many more. Our technology is especially unique in its capability to accurately generate rates for items/quantities that must be packed into multiple boxes. Activate the plugin on your WP eCommerce Settings Shipping tab. Go to the Shipping tab of your WP eCommerce settings page. Go to AuctionInc and register for our WP eCommerce Plugin. 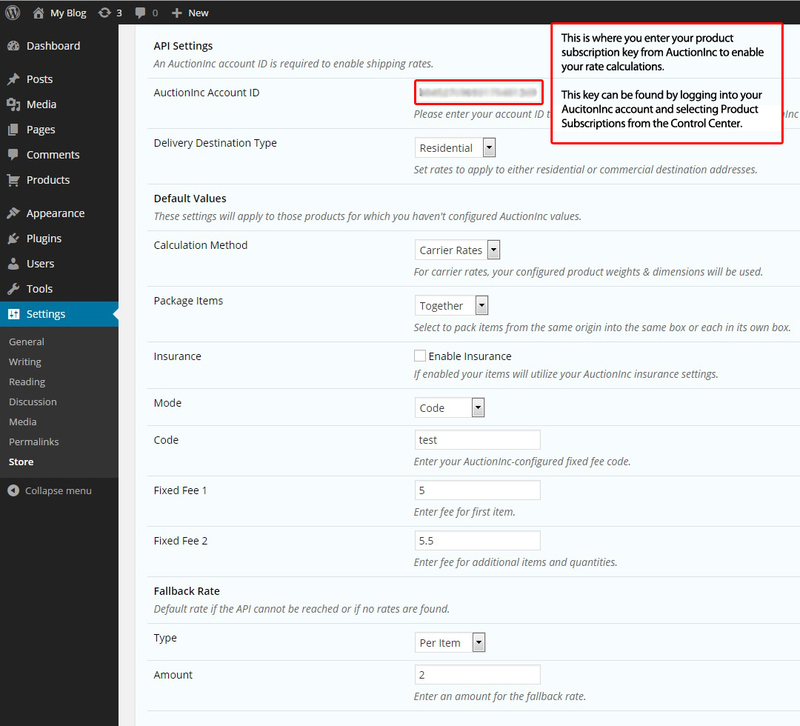 Enter our provided API Account Key into your WP eCommerce AuctionInc plugin settings page. 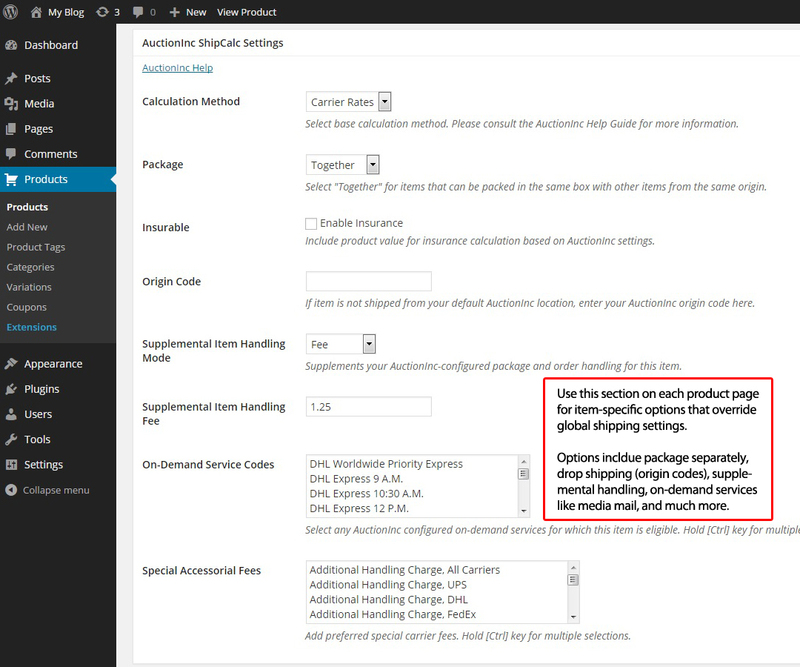 Configure the options offered on your WP eCommerce AuctionInc shipping plugin page.